Ladies Chat | The Arts Community Center | Happenings | Style Weekly - Richmond, VA local news, arts, and events. 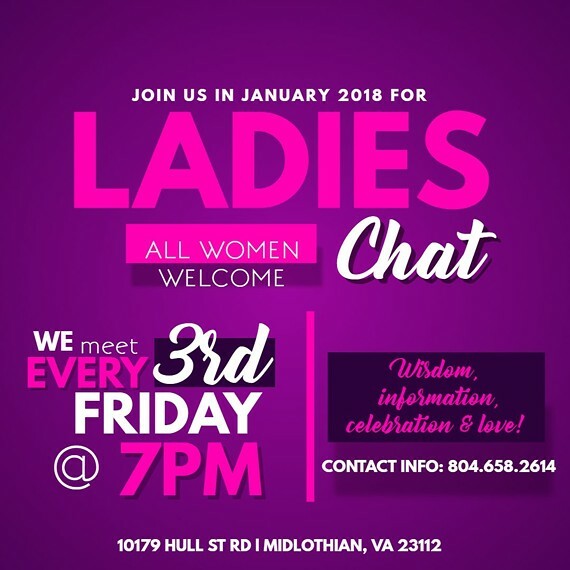 When: Third Friday of every month, 7 p.m.
All ladies are welcome. Creating a diverse sisterhood filled with wisdom, information and celebration.